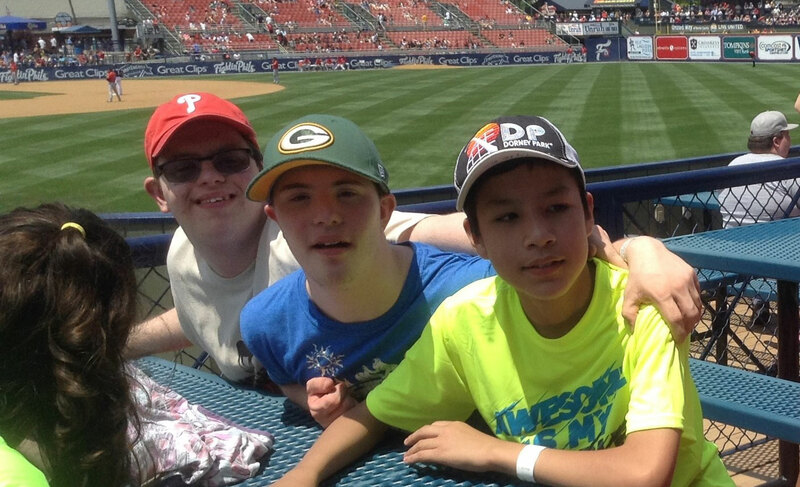 Our day trips are loved and much enjoyed by all our students. Some trips are regular monthly outings, while others are more unique and planned by our Mercy staff as a field trip for a classroom or the entire school. Mini Mustangs and School-Age students enjoy the opportunity to visit Parkettes (parkettes.com) in Allentown on a monthly basis. Instructors with Parkettes, one of the nation’s pre-eminent gymnastics programs, monitor participants who walk on the balance beam, tumble on the floor, jump on the trampoline and more. Our Mini Mustangs and School-Age students go swimming once a month for an hour at Rodale Aquatic Center in Allentown. This fun activity is packed with learning goals such as dressing skills, socializing, game-playing, communicating and, of course, swimming. The pool is accessible with a Hoyer Lift so that every child can enjoy time in the water. Volunteers also join us in encouraging everyone to learn to enjoy the water safely. Visit the Rodale Aquatic Center at: http://www.cedarcrest.edu/ca/rac/index.shtm. Individual classrooms plan field trips throughout the year to help the students enjoy new and meaningful activities throughout the Lehigh Valley. From shows at DeSales University and Bethlehem Catholic High School to bowling at Mountainville Lanes. From learning about horses at Equi-librium to riding trains at Lehigh Gorge Scenic Railway, our trips are as diverse as our students. School-wide field trips are also part of a typical year. Trips include plays at Bethlehem Catholic and DeSales University as well as a Halloween adventure at the Best Western in Bethlehem. One popular trip is to Notre Dame High School in Easton for a Track & Field Day. Every fall, the Notre Dame Key Club organizes a day of field events that begins with a torch lighting and ends with an awards presentation. 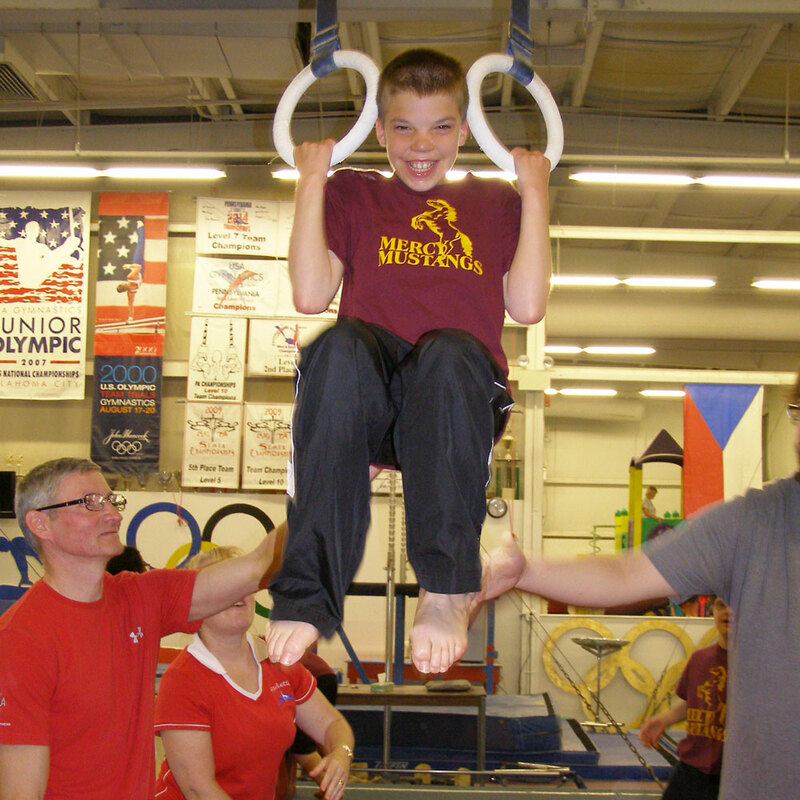 Mercy students age 8 and older also compete in Lehigh County’s Special Olympics each May. The all-day event consists of track and field events as well as an Olympic Village with activities such as face painting, carnival games and giveaways. Each child is a winner at Special Olympics and brings home a ribbon for every event in which he or she participates. Finally, the Patrick & Rosemary McFadden J.O.Y. Fund also enables the entire student body to go on a major field trip at the end of each school year. The McFadden family created this special fund to honor Rosemary for her many years of volunteering in our school.